This statistic shows the global eSports audience size from 2012 to 2022, broken down by type of viewers. 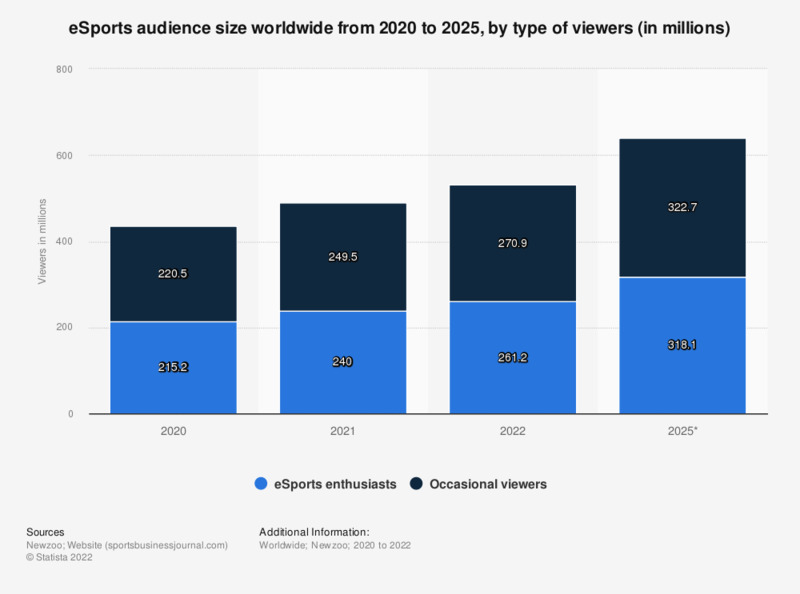 In 2018, the number of frequent eSports viewers and enthusiasts amounted to 173 million. This number is projected to reach 201 million in 2019. The entire eSports market is projected to generate over a billion of U.S. dollars in 2019. Figures for periods other than 2017, 2018, 2019 and 2022 come from previous reporting.